Remember when I recommended some movie/snack pairings for rainy days? While, it's raining again. I should say, still, since we had approximately 48 minutes of sunshine combined over the weekend and today. 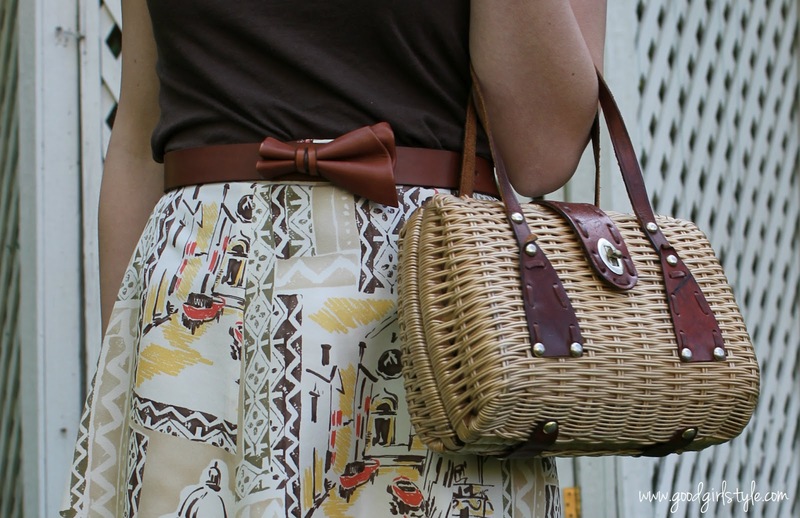 So I'll wear a Roman Holiday of an outfit...silk skirt with scenes of Italy, vintage basket-weave purse, bow belt...and that oughtta bring another 4 minutes of sunshine, don't you think?